Shop Online | Thank You Cards and Gifts for Volunteer Appreciation | it takes two, inc.
Shopping for online thank you cards. Buy these heartfelt note cards and send your appreciation for a special volunteer. Use them alone or add them to a great volunteer gift. 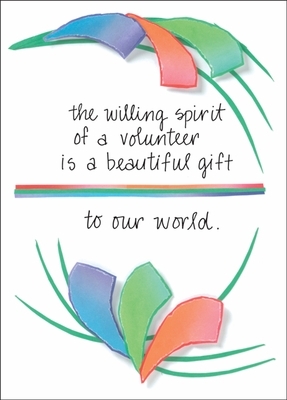 Front: the willing spirit of a volunteer is a beautiful gift to our world.